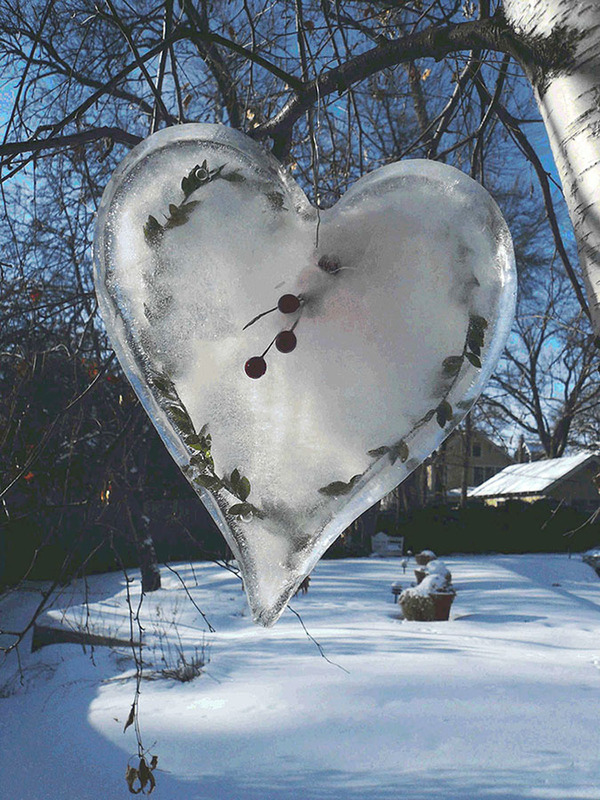 Have some icy family fun this Valentine’s Day with ice molds. Valentine’s Day is just around the corner, and while thoughts naturally turn to heart-shaped candies and cards, it’s an ideal time to nudge one another to take a closer look at how we care for our hearts. Know your ABC’s: A) avoid tobacco; B) be more active; C) choose good nutrition. 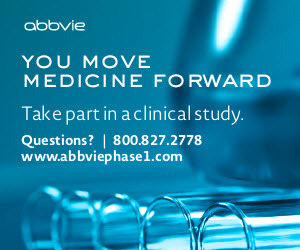 Exercise together: Regular exercise improves your circulation. Take a walk with your family after dinner tonight. Try some healthier cooking techniques: stir-fry, microwave, roast, grill, broil, bake, poach, saute and steam. —Reduce stress: When you’re feeling stressed, ask yourself, “Will this matter a year from now?” And a good laugh can increase blood flow and relax the lining of blood vessel walls. If reducing stress is your biggest challenge, take a break and have a laugh while you enjoy this relaxing activity with your family. 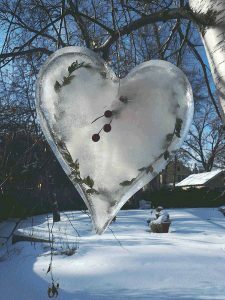 Make beautiful heart-shaped suncatchers out of ice to hang from a tree branch on a cold day. If you live in a warm climate, place an edible version in a punch bowl for a Valentine’s Day party with friends.